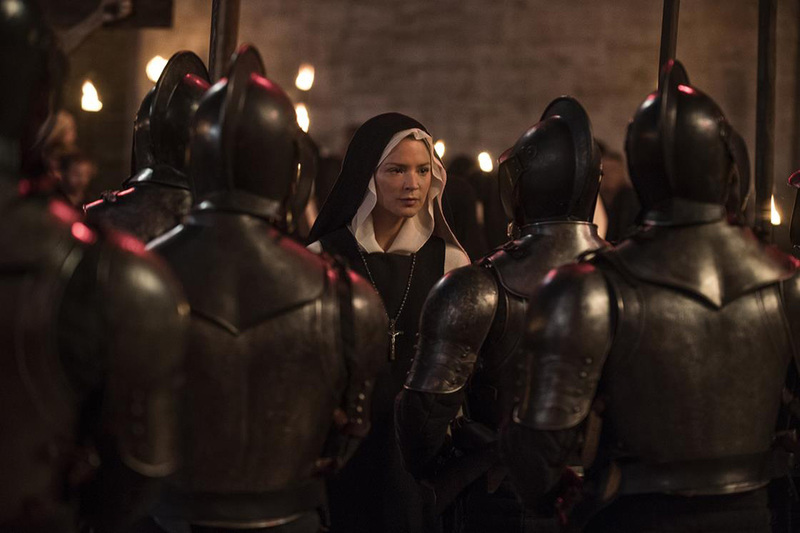 Pathé Films and SBS Productions have released a first look image at the upcoming historical lesbian romantic drama Benedetta from famed Dutch director Paul Verhoeven (Robocop, Starship Troopers, Elle). Check out the full image in the gallery below! Set in 17th century Italy, the film follows Benedetta Carlini, a nun who claims to have prophetic visions and have developed the stigmata, the wounds correlating to the crucifixion of Jesus Christ, helping her rise through the ranks of the church. However, the Vatican would later classify her claims as fraud, although it has been theorized that the real reason for discrediting her was due to both her gender and her sexuality. Carlini had a female companion who assisted her as she became a larger public figure and the two formed a romantic love affair as time went on. The film is being adapted from the novel “Immodest Acts: The Life of a Lesbian Nun in Renaissance Italy” by Judith Brown and is currently shooting on location in Italy. 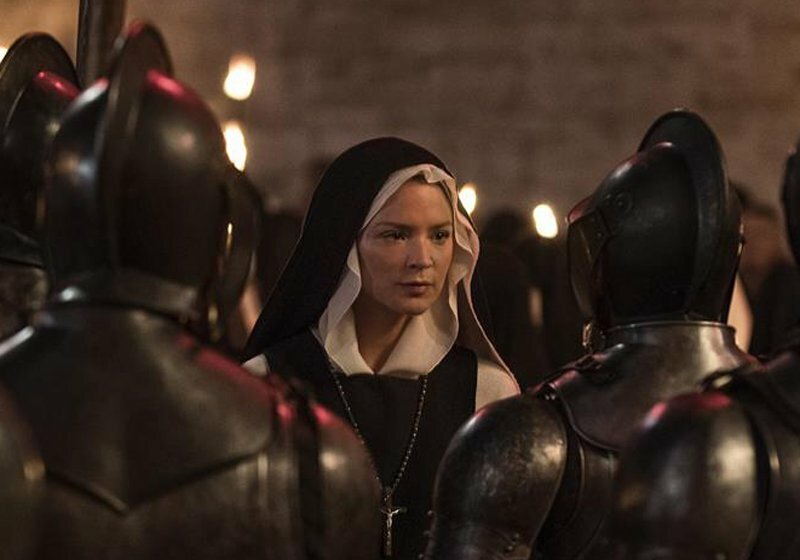 The cast of Benedetta features a reteaming of Verhoeven and Virginie Efira following her role in his previous picture, the 2016 thriller Elle, as well as Charlotte Rampling (The Little Stranger), Lambert Wilson (The Matrix Reloaded) and Daphne Patakia (Versailles). The film is set to hit French theaters sometime in 2019, with an international release date currently unknown. Are you excited for Benedetta? What’s your favorite Paul Verhoeven movie? Let us know in the comments below! The post Benedetta: First Look At Paul Verhoeven’s Lesbian Nun Drama appeared first on ComingSoon.net.